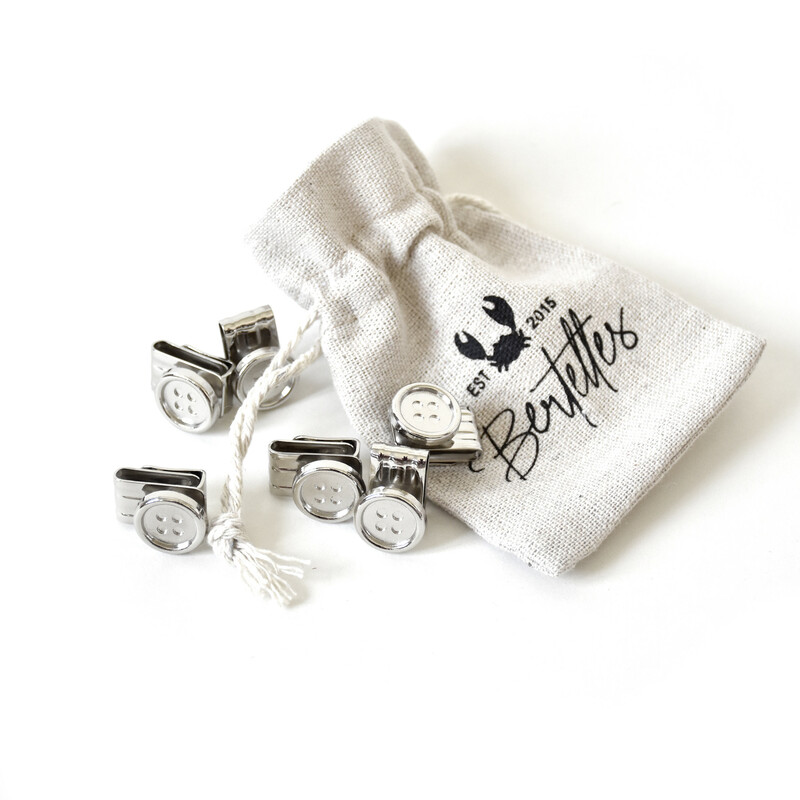 You’re here because you know what Bertelles is all about – a reputation for style and comfort since 2015. The only hard part is choosing which pair you want. 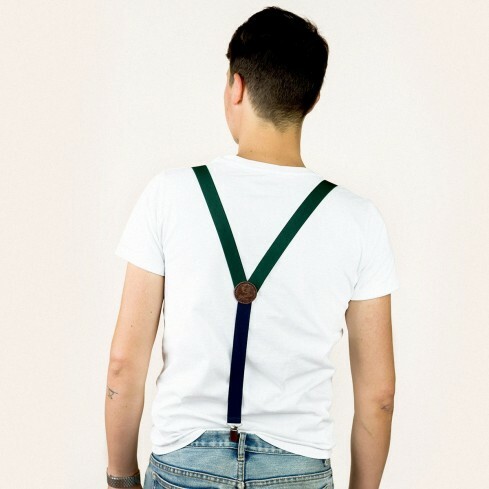 These bottle green skinny braces/suspenders are 120 cm long and 25 mm wide. They’re the perfect addition to town and country attire and can be worn day or night. And this pair isn’t short on details, with a contrasting navy elasticated back portion and a leather badge bearing the trademark Bertelles crab. 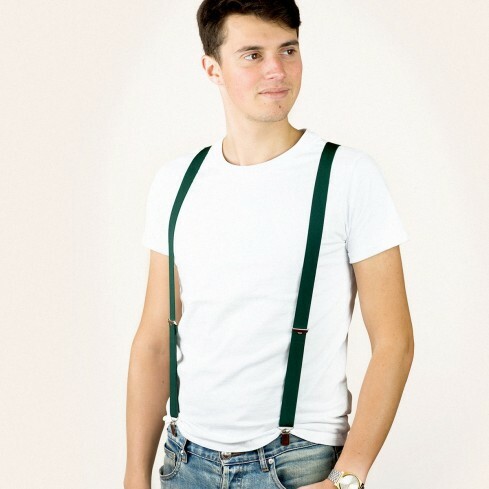 These braces/suspenders are handmade in Belgium at workshops with time-served expertise passed down the generations. The result is an item with quality in spades – from the elasticated straps to the leather and clips. Because we leave nothing to chance.